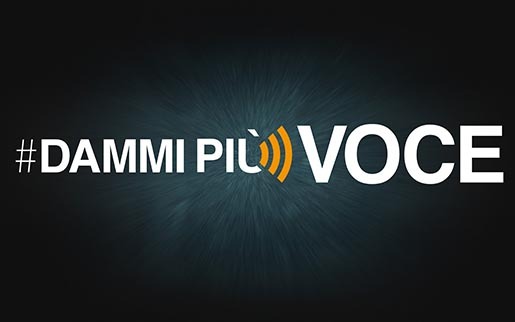 Coordown is celebrating the success of “#DammiPiùVoce” (Turn up my voice), an interactive campaign raising funds for work with people with Down Syndrome. In Italy, due to prejudice, the basic rights of people with Down syndrome are still too often denied. With more funds available it would be possible to defend their rights. On launch day, on the site CoorDown.it, 50 people with Down Syndrome each appeared on video appealing to 50 celebrities for a donation. But not of money: they asked them to donate a video. A video in which they, the celebrities, asked for the money to support people with Down syndrome, amplifying their voices. A video, which if then shared via the celebrities’ social networks, would have more chance of being listened to. 50 out of 50 celebrities donated a video and shared it on their social networks, including singers Tiziano Ferro and Jovanotti, footballers Totti, Materazzi and Zanetti, rugby player Castrogiovanni, star chef Carlo Cracco, Real Madrid coach Jose Mourinho and actress Sharon Stone. Social networking and media coverage helped the campaign reach almost 30 million people, half of the Italian population. Donations were up 700%, compared to Coordown’s previous fundraising campaign. The Turn up my voice campaign was developed at Saatchi & Saatchi, Italy, by executive creative director Agostino Toscana, creative director Alessandro Orlandi, creative director/art director Luca Pannese, creative director/copywriter Luca Lorenzini, account manager Ilaria Lorenzetti, digital specialist Stefano Caridi, social network specialist Flavia Pipola, head of interactive production Silvio Coco, web developer Dario Cataldi, producer Erica Lora-Lamia, head of TV Raffaella Scarpetti and editor Fulvio Rossetti. Saatchi & Saatchi worked with social media partner Ambito 5, along with Top Digital, Flipper Music, Luca Bottale, H-Films, Getty Images, Google and Akita.